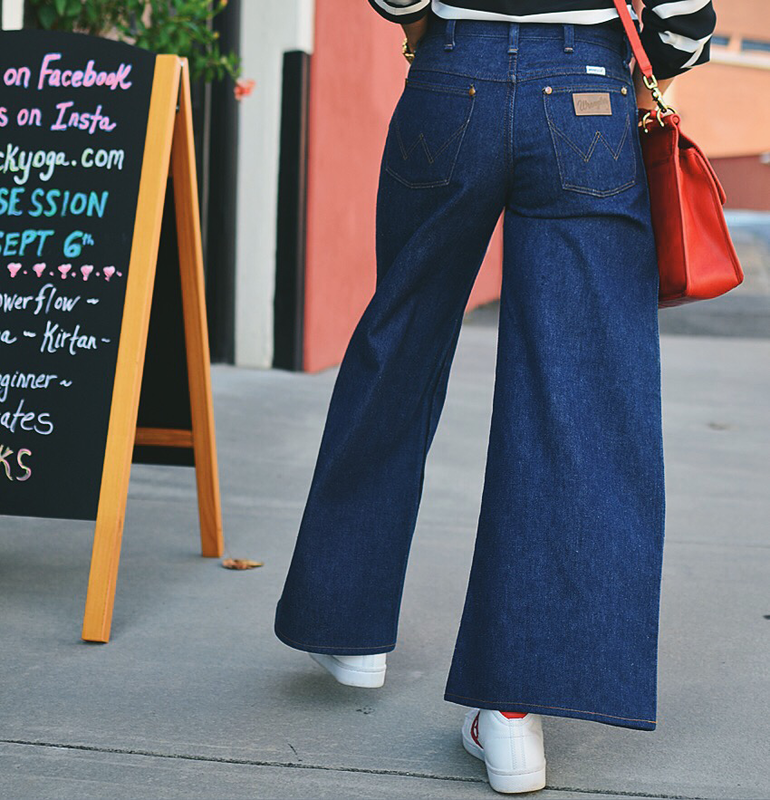 Everyone has one or two favorite jean styles that work the best for their body type. 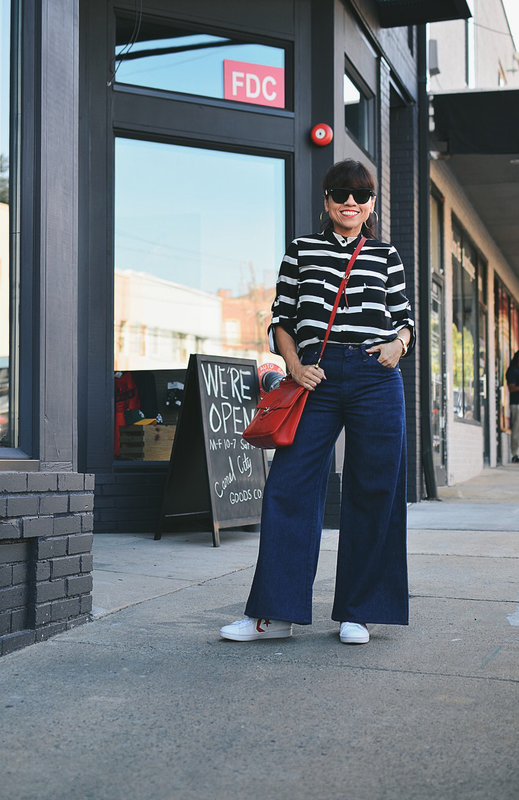 For me, the wide-leg and the relaxed style are the ones that I find more suitable for my body shape. 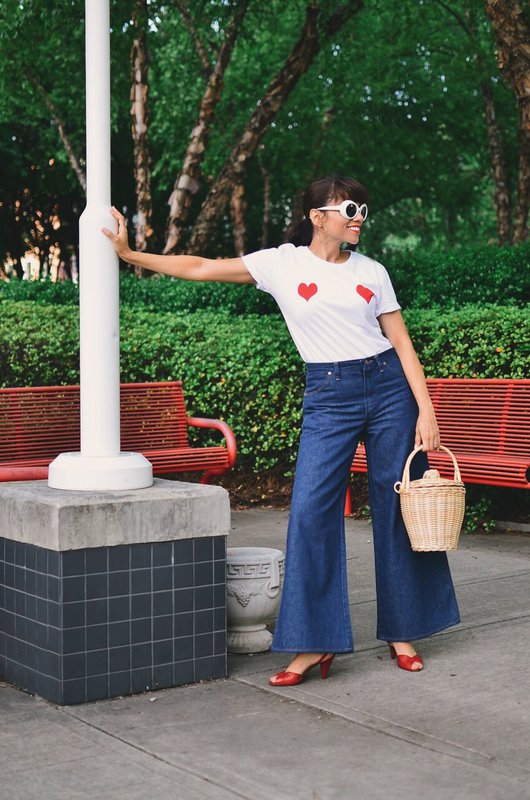 Believe it or not, wide-leg jeans (including flares) can also be flattering for petite gals like me. I'm only 5'4 tall, but that doesn't stop me from wearing those two styles. Last November, I started a series of blog posts named "Key Piece". 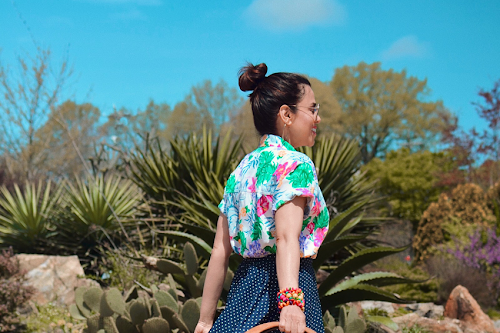 Yesterday, I realized that it was about time to share with you another key piece from my wardrobe that gets a lot of wear. 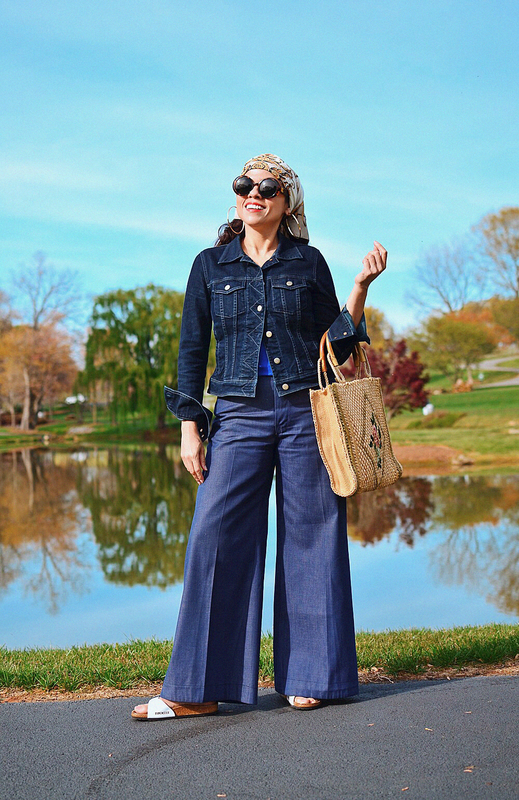 I often like to wear my wide-leg jeans with belted tops or blazers. I believe it brings a flattering balance. 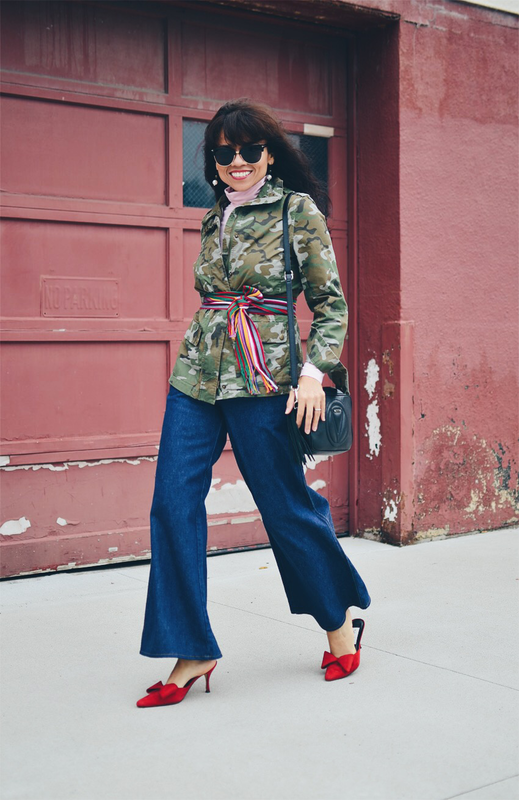 If the pants are a little bit cropped, you can afford to wear mules, because the pants will not get in between your heel and the shoes. They look perfect with sneakers if you want to look casual and ready-to-go. 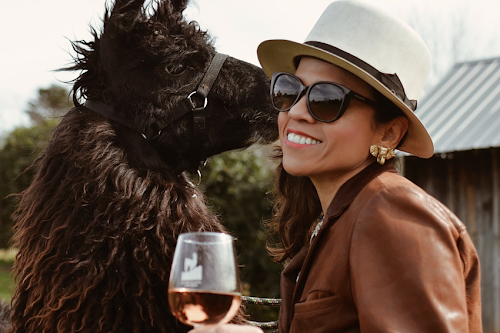 Going to Wine-Country? They can ba a great alternative to dresses or skirts. 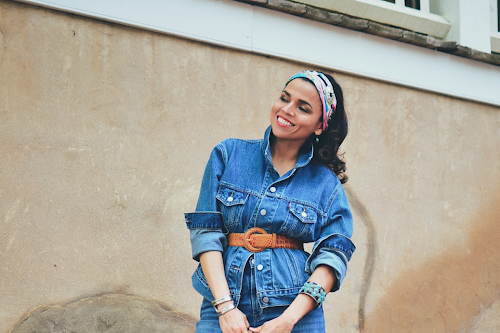 They are perfect for any bohemian look that may come to your mind. or when you want to wear something very fun and French, such as a Birkin-esque look. Here' s a look that was perfect for Saint Patrick's Day. 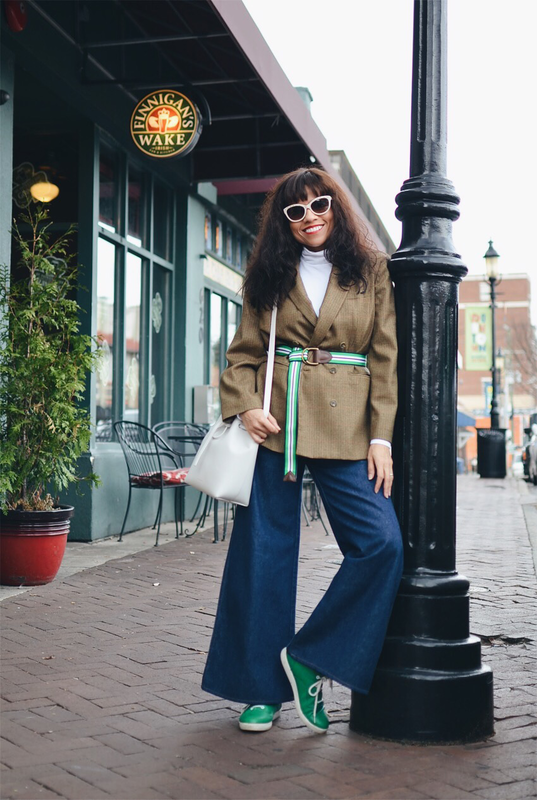 The sneakers and belt complimented very well the shape of the pants and blazer. 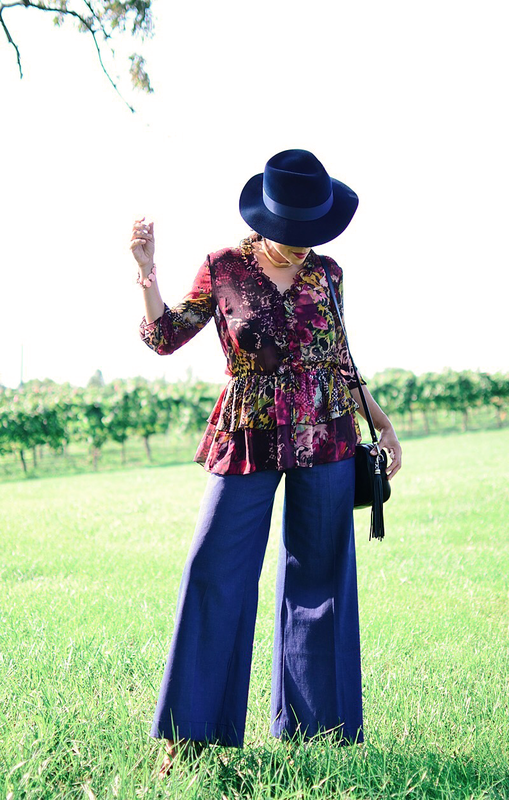 Another outfit with wide-leg jeans chosen to wear in Wine-Country. This time, a little bit more dressy. 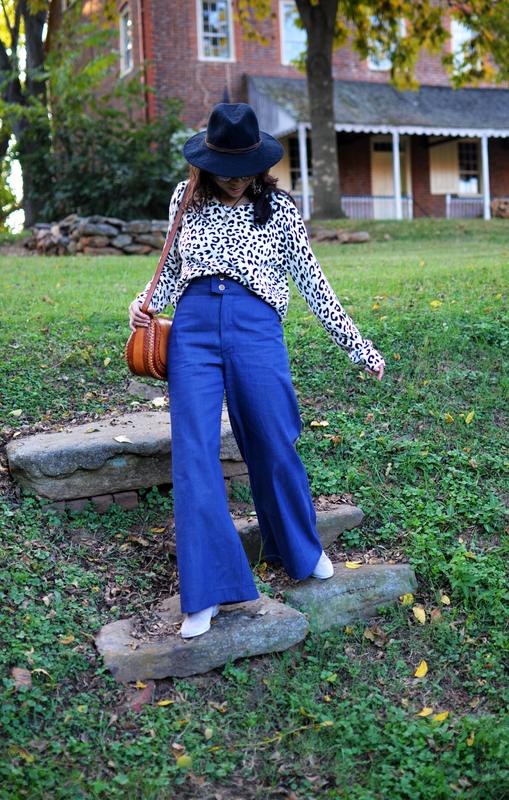 And of course, they are the right pants for a nautical look, which happens to be my favorite.